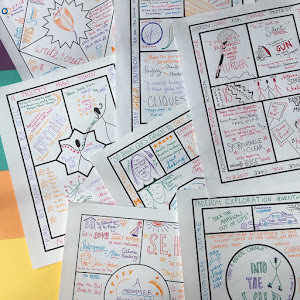 From the Reggio Emilia preschools in Italy to the corporate headquarters of Google in Switzerland, there are so many environments that help inspire creative work. In this post I'm going to take you with me on a creative tour, then share some ideas you can use right away in your own classrooms to help give your students creative inspiration. Let's start with young children. Have you heard of the Reggio Emilia program for young children in Italy? I love it, so much so that I briefly considered moving to Italy with my one year old so he could attend. 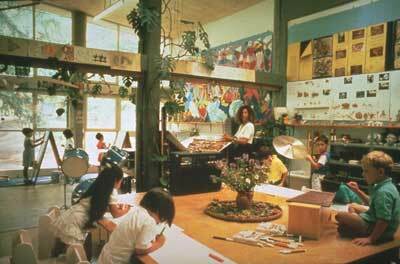 Check out some of these beautiful learning spaces inspired by Reggio. Imagine what a difference these spaces make to the children learning and working through play inside them. In the Reggio system, the environment in which the children work and play is known as their third teacher. What if all children went to school in classrooms where the space was so vital and beautiful that it taught along with the teacher? Moving on to another space-based educational movement. The maker lab. All over America these labs are popping up, providing the interesting spaces and materials people need to create innovative new items. Amazing how students suddenly get inspired when faced with materials and devices in a creation lab. How might this apply to our classrooms? What materials might we suddenly surprise our students with and watch to see what happens? Learn more about ELA maker spaces and how to use them in your classroom here. Any conversation about spaces requires a nod to Google. 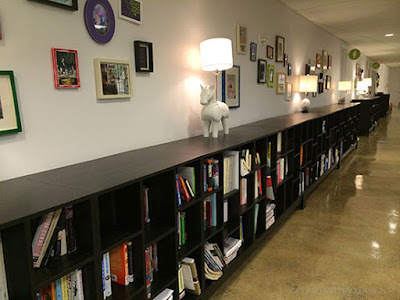 From their indoor Gondola meeting rooms to their infamous Google Garage (where every piece of furniture is on wheels for easy movement), Google has put an amazing amount of resources into their space. I love their hallway library in the NYC office. Wouldn't that be fun in your school? Check out this great video about the Google Garage. I like what Alex Cuthbert, Senior User Experience Designer at Google, says in the video: "I always describe Google as a mix between Kindergarten and a classy law firm." And I can imagine putting quite a few elements in my classroom into constant motion the way Googlers do in their garage. 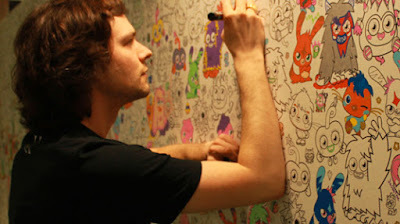 Check out this coloring wall at the Mind Candy offices. Many of the creative offices have some kind of entertainment element - why not let people talk about their projects while drawing on the wall, playing PacMan arcade games, or eating incredible food? I love to think about the possibilities for integrating a bit of fun into my classroom for students who have finished a project or need a moment to think through a thesis. This year I made a coloring book door for my office, using a Harry Potter coloring book I took apart. This video from the University of Minnesota is simply inspiring. Though I don't see my school getting student microphones anytime soon, I love the way the university is challenging its preconceptions about how classrooms should work. Students have new needs now. 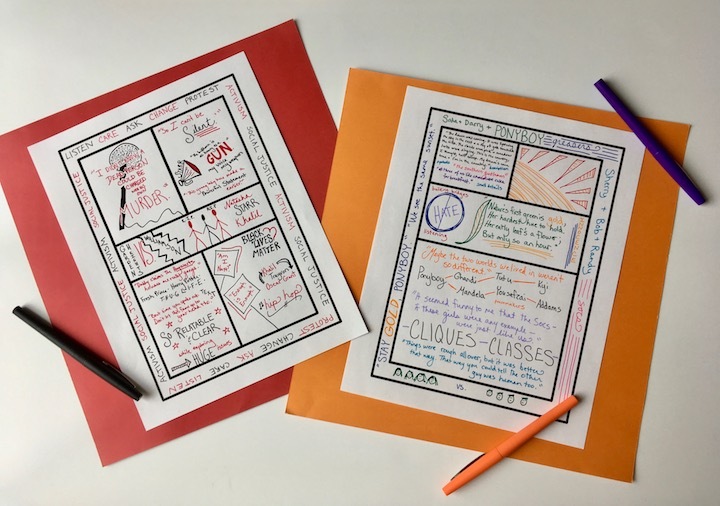 One article I found fascinating in my meanderings around the web this week was called 30 Things You can do to Promote Creativity in your Classroom. One of the 30 things was to "allow space for creativity. 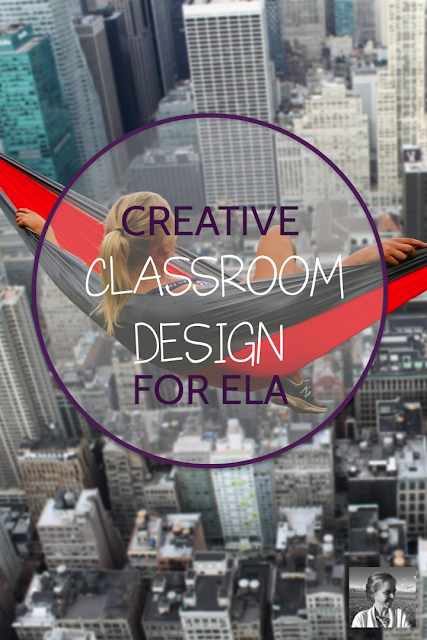 Design some classroom space for exploration, such as a thinking table, a drama stage, a drawing table, or a space for groups to discuss ideas." Consider adding a theater corner to your room, with costumes and props students can use for reader's theater. Or add flexible seating elements and some great bookshelves for a cozy classroom library and reading corner. 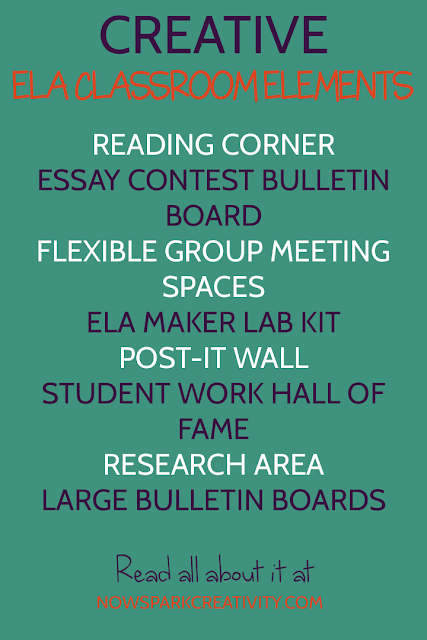 Fill an old bulletin board with inspiring writing contest ideas, and another with a student work hall of fame.